If you’ve ever tried to run in a pair of fancy designer sunglasses you’ll know that they just don’t work! They steam-up, wobble off your face every time your foot impacts the ground and slip off your nose every time you look down! That’s why you need a separate pair of running sunglasses. In this post, we take a look at the 5 best sunglasses for runners. Under Armour has produced a great pair of sun gegs that provides consumers with a dark and reliable experience. We think these glasses are an excellent choice for anyone who wants to get out on the lake fishing or who suffers from glare while driving. Available in three different colors, it features a beautiful design that makes them comfortable to wear for extended periods of time. Truck drivers driving into the rising or setting sun will appreciate how many UV rays these sunglasses block. 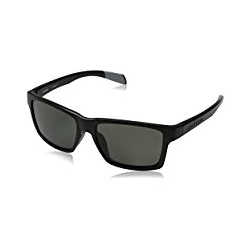 Available for a fair and reasonable price, this pair of sunglasses offers the consumer a vast range of uses. We can see them on the beach, on busy drivers, or even on the runway as a fashion style. Don’t hesitate to pick up a pair if you want a great pair of sunglasses that can fit a broad range of styles. Protection coating that stops 100 percent of UVA, UBV, and UVC rays. The enhanced peripheral vision style that makes it easier than ever to enjoy these glasses. Adjustable nose pads that allow you to create an entirely secure and customized fit. Some discomfort noted in those with wider heads or narrower ears. 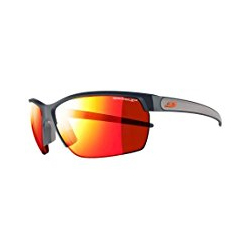 The Vaporwing Elite is best suited as a pair of sports sun gegs that help protect the eyes of competitive athletes. That’s probably pretty obvious, as they are made by Nike, but it is something worth pointing out to potential buyers. We are particularly enamored of the one-piece lens and the way it protects the eyes from all rays of the sun. Eye protection of this type is critical for athletes that want to compete on a high level. Another aspect that we adored was the very clear quality of the lenses. While exercising outdoors may cause bugs to splatter on your lenses, they remain clear and easy to use. Runners are particularly well-served by this model. Nike is a high-quality manufacturer that rarely phones it in with any of their items. These sun gegs are no different. We think they are suitable for those who are into sports and plan on competing regularly. Amateur tennis players and baseball players should take note. Aerodynamically designed to create an engaging and unforgettable fashion statement. 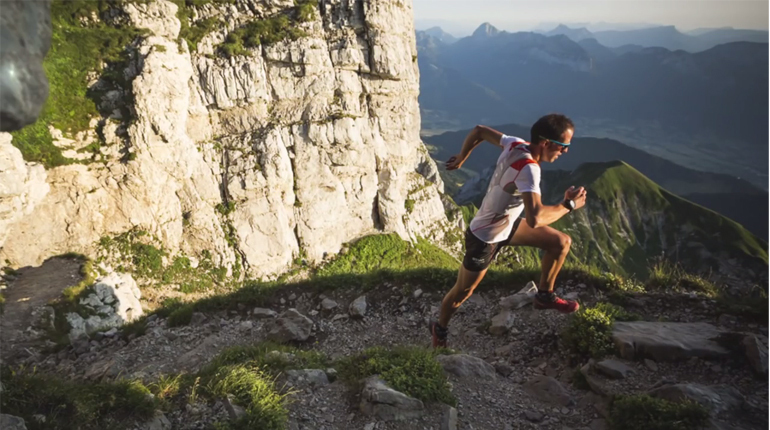 High-quality ventilation that makes it easier to enjoy running or walking. Lightweight nature makes them easy to wear in a variety of situations. The nose pad is a little uncomfortable if wearing them for an extended period. Julbo’s pair of Zephyr sun gegs is designed for people who plan on a rather static outdoor experience. While they can be used in more active sports, they are best utilized by those who plan on spending time fishing, hunting, or even golfing. Any very active game is probably best avoided with this pair. That said, they are still a great investment because of their panoramic shape. This form is entirely adjustable to 360 degrees. This adjustment capability allows them to fit your head in a more comfortable and supportive way. Beyond that, they are simply comfortable to wear. Their comfortably fitting nose and ear grips don’t cause rashes or scrapes when worn for lengthy periods of time. As a result, they are very reliable for many situations. 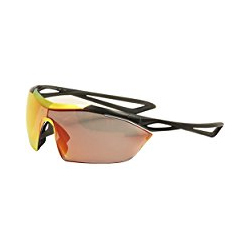 Well worth the asking price, these Julbo Zephyr sun gegs are probably best for those sportsmen who don’t plan on active movement. For example, fishers are well-served by these sun gegs. They are also a strong choice for drivers or beach goers who want to keep the sun out of their eyes for an extended period. Excellent ventilation keeps your face from sweating in hot weather conditions. Handsome style and shape protect your eyes from all UV rays. Easy-fit nose piece makes these comfortable to wear for extended periods. During strenuous jogs, these glasses have a tendency to slide off the nose. These higher priced glasses are produced by Ruby Project in Italy to protect the eyes of athletes. It features a unique “clear to black” system that adjusts to protect your eyes depending on the severity of the sunlight. As a result, it is a useful pair of glasses in a variety of sporting situations. It also uses easy-fold technology to make them easier to store and handle. Placing them in a handy glasses storage case will protect them from severe damage. We found that they could be used in a variety of different sporting situations, including running, walking, and even more high-intensity sports. As a result, it’s fair to say that they are among the most versatile pieces of eyewear on the market. Though these glasses are not inexpensive, the price is pretty fair. We recommend them to anyone who wants a pair of glasses that suits all their sporting needs. They can also be used when driving for maximum protection. Clear to black system provides maximum eye protection. Sturdy construction helps them withstand impact damage. Easy-fold storage system makes them fun to carry wherever you want to go. They aren’t very handsome when compared to other sunglasses. Native Eyewear produces high-quality sporting sunglasses at fair prices. 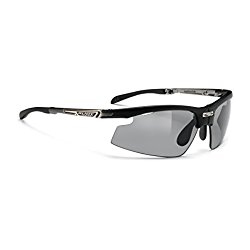 One of the least expensive pairs of sporting sunglasses available on the market, we’ve found that the Flatirons still provides you with the kind of protection you deserve. For example, it uses N3 lenses that block heavy amounts of UV rays from reaching your eyes. Native Eyewear claims it blocks up to four times the amount. Another important thing to note about these glasses is the high contrast it provides. Contrast is crucial in delicate sporting situations, allowing you to succeed in moments when other sunglasses would have let you down. Native Eyewear is committed to producing great products at fair prices. We have to admit, that we think they succeeded here. 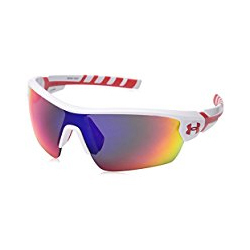 We are pretty big fans of these sunglasses and think they are an excellent choice for just about any sports person. Very heavy UV ray blocking ability. Handsome design and diverse color options. Comfortable fit that looks great on most face types. Can be hard to find outside of the Colorado area.